In need of a fully electric hospital bed? Unable to walk up stairs to your bedroom? Did you just come home from surgery and need assistance getting in and out of bed? Well Independently Yours Medical Supplies located in Louisville, Colorado is here to help you. Providing fully electric Medline Hospital Bed rentals to the Boulder, Louisville Colorado area. 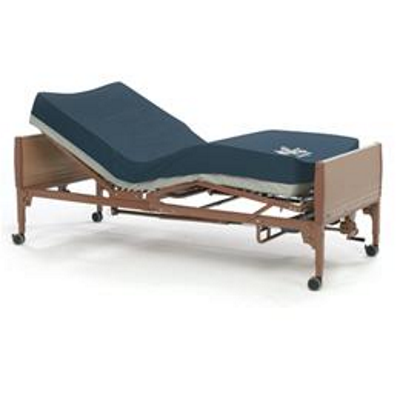 Our hospital bed rentals are fully electric which enable the entire frame of the bed to raise and lower off the ground to make getting in and out of the bed significantly easier for the user. The head section and foot section of the bed can be adjusted independently from each other with the use of a remote control to enable the optimal and most comfortable position desired. 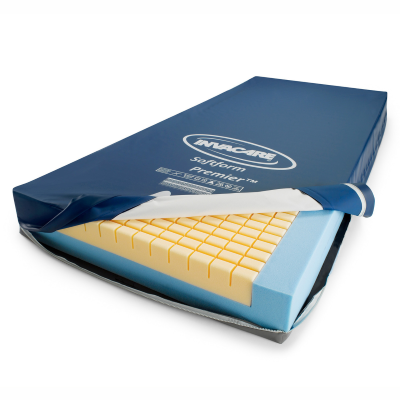 Unlike other companies that may rent hospital beds, we provide a Therapeutic Support Surface Mattress (Invacare Softform XL) that is made of triple layer foam to help evenly distribute bodyweight to prevent the build up of pressure wounds. We pride ourselves on customer service and satisfaction. We can usually have your hospital bed rental delivered to you within one to two days of calling. Hospital bed reservations are welcomed and are no additional cost for reservations. Our Boulder hospital rentals include free delivery, set up and pick up. We deliver to Louisville, Boulder, Longmont, Broomfield, Brighton, Westminster, Lafayette, Erie, Arvada, Golden , Wheatridge, There is a 2 week minimum pricing ($200) for rentals. Rentals can be extended from the first 2 weeks to 1 month for just an extra $75. After the first month, each additional week rental is only $60. Visit our store to test out one of our electric hospital beds or call us to schedule your hospital bed rental. – Therapeutic Support Surface Mattress (triple layer foam. No cheap inner spring). Designed to reduce and prevent pressure sores. – Includes free delivery, set up and pick up. Hospital bed delivery area includes Denver, Boulder, Louisville, Superior, Longmont, Arvada, Golden, Wheatridge, Commerce City, Erie, Westminster, Broomfield, Lafayette, Thornton, Brighton, Evergreen and local neighboring areas. Call us for more information and to schedule your electric hospital bed rental.